The "What is music?" sample is taken from Star Trek, the original series, season two episode, The Changeling. A really solid 12". Not sure what it does on dance floors, but sounds great at home. The "Mr Raucous Mix" trends cheese, but its listenable and complex enough to hold the attention. The other 3 tracks are great. 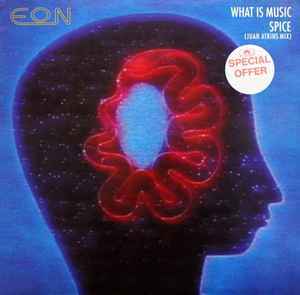 I picked this out of the dollar bin for the Juan Atkins mixes (which are solid), but the original mix of "What is Music" is way better than I was expecting. Juan Atkins mix of Spice shows again how he likes to use breakbeats in some of his "None Techno" outings. Its all beeps and breaks here with some keys that remind my of Lil Louis - Frequency.